Bringing together world class interior designers, architects and specifiers with the most creative, advanced and design led products from around the world. 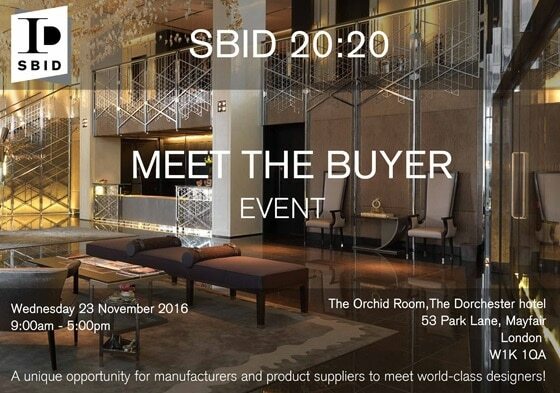 The SBID 20:20 is a one day networking event that brings together some of the most important designers, architects and specifiers of the international design industry, to meet face to face with the best manufacturers and suppliers of solutions. The one day annual event will provide an energetic and lucrative business environment carefully tailored to create, encourage and facilitate synergies that build key relationships.